Imagine you are sitting at a piano. The landscape before you is white and black. The equally-spaced black and white keys on the piano represent pitch relationships on which the entire musical output of the western world rests. The modern piano contains 88 keys arranged in 7+ octaves, or pitch registers, each of which follows the same incremental pattern as the others. In the musical landscape of 88 keys, there is only one octave that is unique, that contains the 12 tones of the chromatic scale. All other octaves are exact copies that are displaced in different pitch registers from one end of the piano to the other. The foundations of the musical landscape of the western world include the 12-tone chromatic scale (black and white keys forming a full octave), the diatonic scale (the 8 white keys within an octave beginning on c) the 5-tone pentatonic scale (the black keys beginning on f#), the 12 major scales, 3 flavors of each of the 12 minor scales, Greek modes, the Natural Harmonic Series (equally tempered), invented scales (anyone can ‘invent’ a scale), intervals (2 tones and their inversions), chords (3 or more tones played simultaneously) and broken chords (arpeggios). 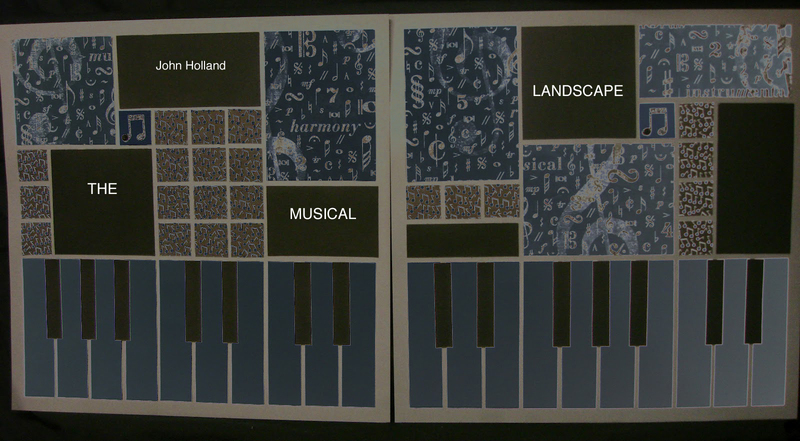 There are nearly an infinite number of tonal patterns that may be created using the musical landscape. And the rules for its use are simple. Whenever a tone is sounded, there are only three moves that the next tone can make: up, down, or repeated. The 12 chromatic tones within an octave function as the musical alphabet of the western world. It is important to recognize that humans alone developed this discrete musical alphabet over many centuries. In contrast, Nature has provided us with thousands of individual musical tones and noises that form a continuum, the full spectrum of acoustic sound untouched by human intervention. Click below to see a copy of the scores of ‘The Chromatic Scale Is It’s Own Music Box’ and ‘Variations on a Collapsing Theme’ from Mapping the Musical Genome for Piano Solo. The complete set of pieces can be purchased online or by telephone at Spectrum Music. Spectrum Music (781-862-0088).